How would you treat a loyal customer of 26 years? When I was a National Marketing Manager at TNT, I had to fly Ansett domestically because TNT owned the airline. Consequently I only flew Qantas internationally. But in 1990, I joined the Qantas Frequent Flyer programme. 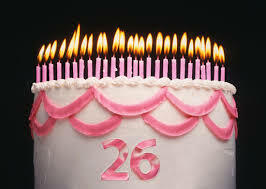 Last year was the 25th anniversary of my custom and last month, my 26th came and went quietly. I’ve flown with them every year since 1990 and spent six figures in airfares. Like many of you, I have been up and down the Qantas ladder of membership. At my peak, I was what’s known as a CIP and my membership status was something like Super Godzilla Platinum. For the uninitiated, a CIP is a Commercially Important Passenger. The CIP acronym is more valuable than VIP – it means you pay serious dollars for your seat, whereas VIPs may not pay at all for the privilege. The reason I was a CIP, was because an over-indulgent ad agency paid me to travel the world’s busiest route – Sydney/Melbourne – on a weekly basis, sitting at the pointy end of the plane. Eventually I left that role and my travel action declined. I gradually dropped from Super Godzilla Platinum to Shiny Gold and eventually arrived at the humble Dull Silver level – though apparently it’s a Lifetime Membership. Woo Hoo. 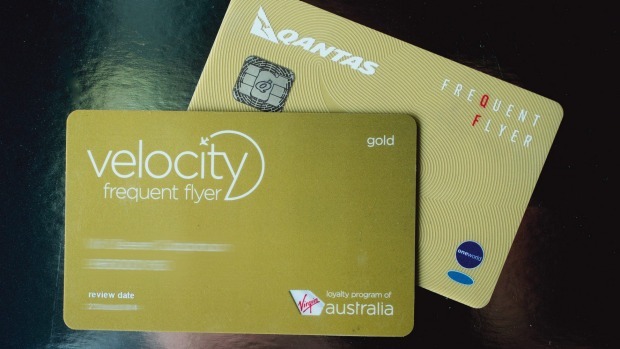 During the time I slid down the Qantas eligibility pole for a free beer at the bar and a couple of party pies at the bain marie, I also became a Velocity member at Virgin. So I ask you dear marketer, why have I not heard one word from Qantas? If you had a customer who had done business continuously with you for 26 years, wouldn’t you like to know why they’d reduced the amount of business they did with you? Wouldn’t you pick up the phone and ask? Wouldn’t you like to know if you still get 100% of their flying wallet – to use some marketing jargon? Has your service been the problem? Does your customer now fly with your competitor? Have you left us for another? I’m not sure how many customers you have who’ve spent continuously with you for 26 years, but I’m sure you don’t have too many. But if you did have such a customer, aren’t these the typical questions you would ask if they stopped doing business with you? So why don’t Qantas marketers care about the people who pay their salaries? Is it because they make so much money flogging the personal data of members to FF partners, who in turn flog stuff back to said members? Is the airline business so lucrative and simple, they can afford to lose long term customers? Is suspect the reason is simple – they rely on marketing automation. The computer tracks flight purchases and allocates ‘status’ based on transactions. And we all know how risky it is to hand over your customer service to computers. More often than not, marketing automation equates to marketing disaster. There is no layer of human intelligence being applied to the BIG DATA at Qantas. Worse still they’re ignoring the small data that matters. Unless of course it’s a budgetary issue – but you’d have to be concerned if the margins in your business restrict you from calling your customers to talk with them? I’m obviously not the most profitable customer for Qantas, but I have been a customer for more than two and a half decades. You’d think even the lamest marketer would acknowledge the fact? After all, the management could afford to pay a $90 million bonus to the staff last year? But hey, why feign interest in customers? She was told to get back to them within 48 hours with the name of a relative to whom they could transfer the points. So after a discussion over the weekend, she rang Qantas on Monday, only to be told she had missed her 48 hour window! The points were to be forfeited. Suffice to say, she gave them a piece of her mind and eventually coerced the customer service staff into allowing the points to be transferred, somewhat begrudgingly. Gotta luv the Spirit of Oz. I have been a customer of Virgin Mobile for about 12 years. On my tenth anniversary, they sent me an animated personalised e-card and a free night in a four star hotel in Sydney. I don’t spend a lot with them, but that simple gesture has cemented my loyalty to them thousandfold. Even when the reception of Virgin Mobile (Optus) was appalling at my new home, I stuck it out until they made improvements and upgrades to towers etc. There will need to be an extremely good reason to change if I ever do. Spot on! Malcolm. But Qantas isn’t the only sinner. You can add plenty of other airlines to that list. I blame it on incompetence and lack of interest in what really matters; customers. Thanks for sharing. Hope you are doing well. Thanks Michael, it seems the fascination with technology is overriding basic customer service. This is what happens when you remove responsibility from frontline customer service staff… and expect machines to deliver instead. Thanks Ingrid – and also when there is no layer of human intelligence managing the data. Relying on machines limits your service levels dramatically. Hey Mal. I missed this… probably too busy looking for cheap fares… 🙂 Like you I was an early entrant to Qantas’ “loyalty” programme… In fact my membership number is in the low 4 digits. Through thick and thin I stuck with them and in the early noughties I flew Business Class back & forward to the USA twice and then around the world. I garnered so many air miles that I was able to send my wife & 2 kids to the UK and Europe. Despite pointing this out to them I was quickly relegated to Nothing Status. Guess what? 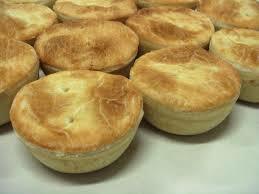 I am back in my home country and I will avoid flying with Qantas! Dickheads! I guess you are right. Their problem is either bad software or ignorant marketers… I suspect it is both – because software business rules have to be written by a human.